Over the past 25 years, I’ve learned that textbook or classroom education alone won’t do the job. Staying on top of the IT acquisition curve also requires staff to regularly use IT innovation labs, environments where bleeding-edge technology has been successfully used to solve day-to-day business challenges. As we explore the Art of the Possible by using artificial intelligence (AI) within acquisition solutions, I took a small team to visit a company that develops and delivers AI capabilities. Exposing government acquisition professionals directly to new technologies helps our staff to more fully understand what AI can do. 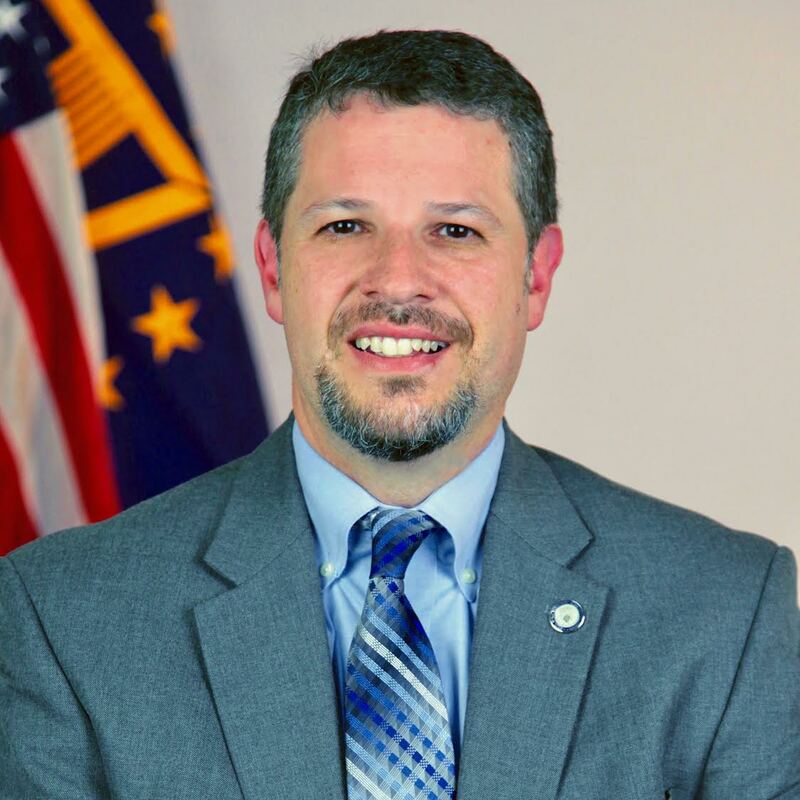 In turn, they can help program managers develop even better contracts to more effectively help deliver mission requirements and desired outcomes in government. As we continue to build IT procurement vehicles, we recognize how important it is to understand the technology, what it can do, and how we can inject new and innovative solutions into our acquisition vehicles not only for now, but for the future. 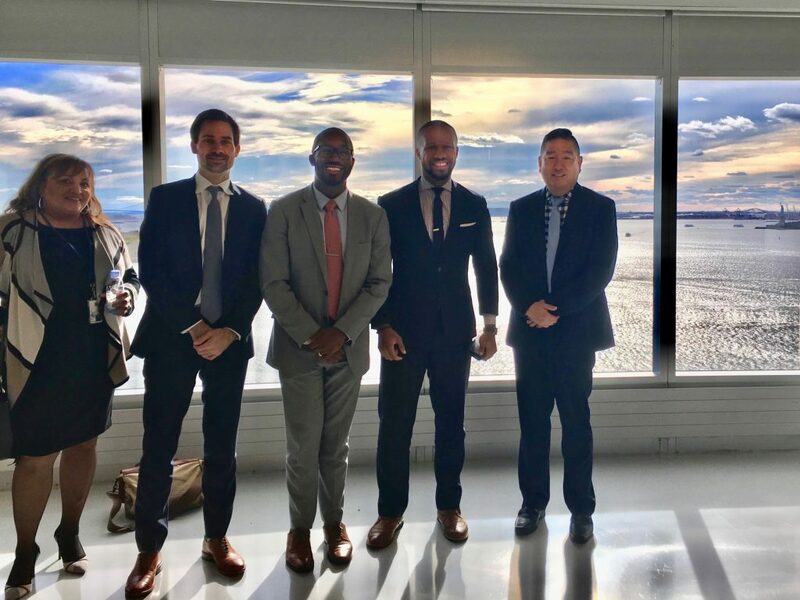 GSA’s Jasmine Alexander, Brendan Mahoney, Brian Whitaker, Giovanni Onwuchekwa, and Keith Nakasone visiting IPsoft in New York City. 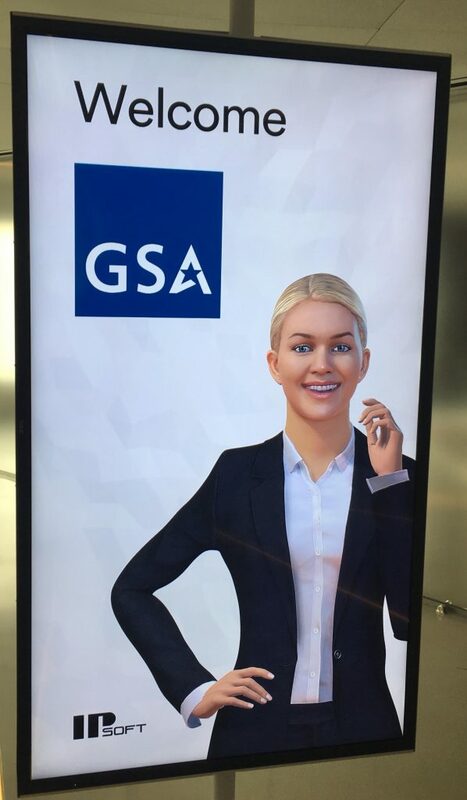 Our staff was greeted by Amelia, IPsoft’s cognitive agent. According to our industry partner, Amelia can take on a wide variety of service desk roles and transform customer experience.